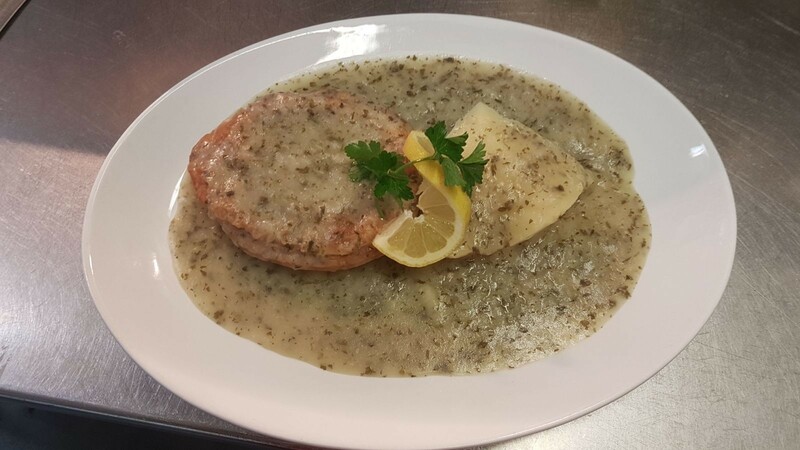 Part of London’s traditional dishes – 100% fresh British minced beef in delicious well-seasoned gravy with our homemade parsley liquor. Comes frozen, unbaked, with oval shape and silver foil. Liquor contains eel stock, salt, pepper, flour and parsley. Pie’s Cooking Instructions: For best result cook from frozen Place near the top of a preheated oven at 220C/425F Gas Mark 7-8 and bake for 20-25 minutes, leave to cool for 2-3 minutes before serving. Liquor cooking instructions place in non-metallic dish cover and microwave for 5-6 minutes depending on the wattage of microwave. 100% fresh British minced beef in a delicious well-seasoned gravy. Frozen unbaked. Delicious parsley liquor.